Celebrate National Tequila Day at one of these bar, restaurants or taverns in Denver. National Tequila Day is Tuesday and if you're looking to celebrate there are a lot of options in Denver. Tamayo has a three-page tequila menu that includes a massive selection of Blancos, Repsados and Añejos plus a few Extra Añejos, mezcals and house infusions. They also have several flights where you can try different styles of the same tequila to see how aging changes the flavor. To celebrate National Tequila Day, Tamayo will be serving Tequila Popsicles all day on Tuesday. This Denver restaurant focuses on Coastal Mexican food and drinks. To pair with your fresh seafood meal, Lola offers more than 200 tequilas to pick from and even has an oak barrel so they can age tequila in-house. For National Tequila Day, they are offering $7 Suerte margaritas and a $12 tequila flight. Located both on the 3rd floor of the Denver Pavilions, Lime is a cantina and tequila bar with a large dining room, massive windows, a beautiful patio and more than 160 tequilas. They also have a second location at the base of the Winter Park Ski Resort. Machete Tequila + Tacos has three locations in Denver each offering a selection of nearly 15 margaritas including one with pineapple and coconut infused tequila, one with habaneros and chili rim, and one cashew milk and orange juice. Along with a large selection of tequila, Los Chingones serves unique, seasonal tequila-based cocktails. 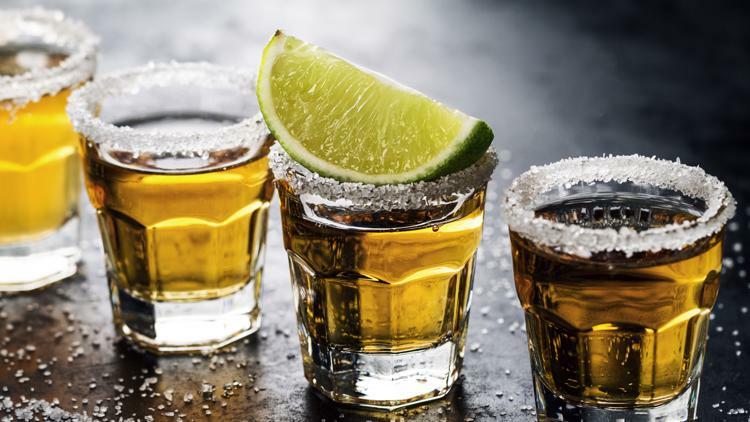 On National Tequila Day, Los Chingones will be hosting ‘Tequila University,’ with customized flights and lessons for all levels of tequila aficionados. They have three locations in the Denver area and one more coming soon. This popular Colfax hangout serves up traditional Mexican food, street tacos and homemade chips and dips to go alongside their menu of house-made cocktails. Everything from Palomas to Tequila Collins’ to traditional margaritas are made with simple, fresh ingredients. Featuring more than 200 tequilas and mezcals, Otra Vez Cantina opened in downtown Denver in March 2017. They also have a selection of flights, cocktails and even flaming drinks to share. The Matador takes pride in teaching guests about tequila. They have more than 130 different brands and many of them are only served at the restaurant. The bartenders and servers are happy to walk beginners and experts through selecting a tequila to drink or through a tasting. They will also be offering ½ off all tequila for National Tequila Day. El Camino Community Tavern has been a neighborhood favorite in Highlands Square since 2008. Along with their unique Mexican-food-with-a-twist menu, they offer a large selection of tequila and margaritas. They also have a tequila club that offers free months tastings for members. Kachina Cantina, located in Denver’s Dairy Block, is known for their fry bread tacos. But they also have an impressive lineup of margaritas, cocktails, tequilas and tequila flights. They also their own house tequila blend used in several of their drinks. Tacos Tequila Whiskey (or Pinche Tacos depending on when you discovered them) has long been known as one of the best taco spots in town. But fans of the restaurant also rave about their handmade margaritas. It’s the perfect combination to celebrate. The name may not sound like it, but Billy’s Inn has one of the most extensive tequila selections in Denver. The Baja-style restaurant opened in the North Denver in 1933 and has been serving fish tacos, burgers, nachos and green chili ever since. You can also join the tequila club to keep track of which tequilas you have tried, rate them and win prizes. Palenque prides itself on being the first and only Mezcalaria in Colorado. Around the corner from its sister bar and restaurant Adelitas (which is also a great place to celebrate), Palenque offers a massive selection of mezcals and cocktails made with the spirit. For National Tequila Day they will be offering a special tequila lime chicken taco and $18 tequila flights. Don't see the map above? Click here.